ust south of downtown Denver is the Englewood branch of Epic Escape Game. The building entrance was easy to spot with large signage. We parked just around the corner in the free two-hour street parking. Upon entering, we walked down into the bright open lobby where the receptionist checked us in, we had some water, played with the test locks and sat on the leather couches. Just down the hall was a clean, single stall bathroom with fun art on the walls. 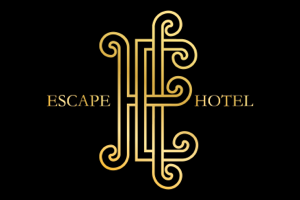 Epic Escape Game has locations in 8 cities around the US so if you love your time in Englewood, you should definitely check out their other branches. Our game host recited an overview before entering the room and we learned that The Lost Continent is themed around an archeologist who has gone missing. The game began with us hunting for clues in a well-appointed office that is befitting of someone who travels the world. We were impressed with the contrast between the plain white walls and cement floors of the lobby and pre-room area compared to the warmly lit and soft interior of the room. However, while The Lost Continent was well designed, it was filled to the brim with props which were sometimes distracting. Some items were much more worn than others and there were some strange structural elements in a second section of the game. The clues and puzzles were discovered in a linear fashion and all were relatively straightforward, with the exception of one puzzles which was multi-stepped and felt remarkably harder than the others. Our team of experienced escapers were very tripped up by this one even after getting multiple hints. We wasted a large chunk of our 60 minutes, to the point of being frustrated. We later asked the staff if this is a common trouble spot for groups and they said the majority of teams need a lot of help with that puzzle and just about every group needs at least some hand-holding. We are always up for an escape room challenge and appreciate unique and difficult puzzles, but if that many people are overwhelmed by one part then perhaps it should be modified a bit. The immersion in the game was slightly above average. The clues are clearly connected to the narrative and the set design follows the theme. And, there was a good attempt at using the solutions to move the story along, but we were underwhelmed by the ending and the big puzzle hurdle in the middle of the experience hindered a fuller grasp of the narrative. We were also a bit unclear of the time period of the story as some props and books did not seem from the same era. The set design and wide array of puzzles are the main factors in this room’s overall fun and are why we believe this is an above average experience. As a whole, because of the linear nature of the clues that have all players focused on the same solution, we thought the game was best played with 3-4 people and that larger groups may find stretches where it’s difficult to have every person engaged at the same time. With some minor tweaking of the set and improvement of the very difficult puzzle this would be even more fun. 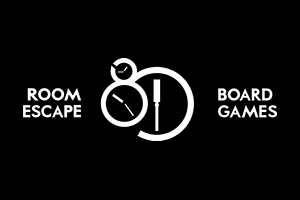 We definitely recommend a visit for intermediate and advanced room escape players.